Since Ford introduced the MyFord Touch system a few years ago, the internet has been abuzz with negative reviews from both the automotive media and consumers alike. Early on, there were some bugs in the system which Ford was quick to fix but since then, people have continued to complain about their inabilities to work with MyFord Touch. This has garnered the advanced infotainment system a very undeserving negative reputation in the industry but it hasn’t hurt the popularity much with Ford Motor Company reporting that a whopping 79% of 2013 vehicles sold thus far featured MyFord Touch. Even with the high take rate, the bad publicity has led the Motor Company to work to add more traditional buttons and knobs to make the system easier for less capable drivers. Ford has already added buttons and knobs to some models, including the 2013 Ford F150 that we reviewed just last week. I found that the addition of the non-touch sensitive controls made the system much easier to use when wearing gloves so those who spent lots of time driving in the winter or wearing work gloves on the job, this addition comes as a great addition to the system. 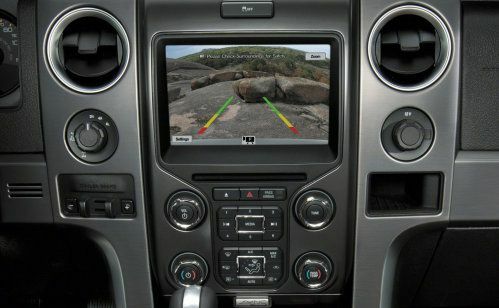 However, for those vehicles like the Explorer, Edge and Taurus – all of which rely on a super clean, piano black touch panel to control the system – the addition of old school controls will do little more than satiate those folks who simply aren't advanced enough to figure out the high tech system. Now, I have quite a bit of experience with the MyFord Touch system and I find it to be one of the best infotainment systems on the market today…particularly in the affordable, non-luxury end of the auto industry. When I read reviews of the system in any of the modern Ford Motor Company vehicles bashing the system for being user unfriendly or over complicated, it reads to me as a reviewer who probably also cannot figure out how to work his or her DVD player or how to turn the volume down on their newfangled smart phone. Professional reviews aside, Ive heard car shoppers complain about how hard the system is to use and these people also fit into the category of not knowing how to hook up their own cable box or send a text message. In short, the people who cannot figure out how to use MyFord Touch are either technologically inept or they are writers jumping on the “bash MyFord Touch” bandwagon. A great many of the people who know me know what I do for a living and that encourages people to ask me questions with one of the most common areas of questioning being high tech interior amenities. I get lots of questions about MyFord Touch by people looking to buy a new Ford product and I tell every one of them the same thing. When you get into the vehicle, just spend 10 minutes playing with the infotainment system with sitting in the parking lot. Sit there and flip through the climate, stereo, navigation and phone control quadrants of MyFord Touch and see if you can figure out how to find your favorite radio stations or enter an address into the navigation system. In nearly every case, the people who did this found that they were indeed able to perform all of the tasks that they wanted to with MyFord Touch and in several cases – these folks who initially voiced concerns about buying a vehicle with the allegedly troublesome technology ended up buying a vehicle equipped with the system…and loving it. Yes, there is a learning curve involved with being able to seamlessly use all of the functions of the system but spending just 10 minutes will show anyone who can use an iPad or iPhone just how great MyFord Touch is in almost every way. Even the voice recognition system - which has been one of the most heavily criticized aspects of the system – does a great job of walking the user through the steps for the best chance of success. Also, having been able to try pretty much every infotainment system with which MyFord Touch competes in the modern market, I can honestly say that Ford’s system is one of the best. Unfortunately, the early complaints from incompetent users were blown way out of proportion by the bottom feeders of the automotive media world so Ford has been forced by the inept minority to add old school controls to the system. Fortunately, the addition of these buttons and knobs doesn’t take anything away from the system shy of the nice, clean look of the touch sensitive controls currently in use in so many MyFord Touch equipped models.